Fibromyalgia is a condition wherein a person suffering from it experiences widespread chronic pain and fatigue. Since there are many symptoms of fibromyalgia, there are also a number of treatment options available. Medications are the first line of treatment. There are different types of medication for treating fibromyalgia. One of the symptoms of fibromyalgia is depression. And for this, tricyclic anti-depressants which include Amitriptyline, Nortriptyline and Doxepin are commonly used for its treatment. Here we look at Nortriptyline. Nortriptyline is a tricyclic antidepressant that affects chemicals(neurotransmitters) in the brain that may become unbalanced. Nortriptyline is used to treat symptoms of depression. It is believed to enhance a person’s mood and feelings of well-being, relieve anxiety and tension and increase your energy level. Anti-depressants are medications that stop pain messages from getting to your brain. There are three different categories of anti-depressants. These are tricyclic antidepressants, serotonin and norepinephrine reuptake inhibitors (SNRIs), and selective serotonin reuptake inhibitors (SSRIs). Each category works in different ways. Does Nortriptyline work on fibromyalgia patients? The most commonly used medications to treat fibromyalgia is the tricyclic anti-depressants which include nortriptyline. 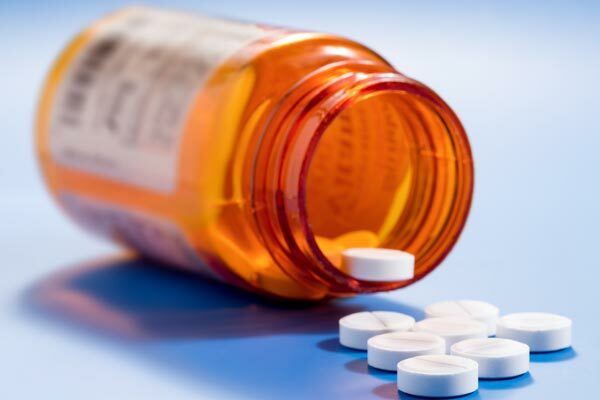 According to a study published in the US National Library of Medicine National Institutes of Health, the use of nortriptyline medication has shown some improvement for people suffering from fibromyalgia. It studied the efficacy and tolerability of amitriptyline and nortriptyline in a Brazilian population with fibromyalgia. The study took a total of 118 fibromyalgia patients and was randomly assigned into three groups (Amitriptyline, Nortriptyline, and Placebo). All the patients were given 25 mg of the assigned medication treatment at bedtime for eight weeks. The study revealed that all the three groups reported improvement in their symptoms after eight weeks of treatment with little side effects being reported. How to take nortriptyline medication? It is important to understand the use of nortriptyline for anyone who wishes to start the medication. Before you start nortriptyline medication you have to consult your doctor. Nortriptyline medication is usually taken by mouth. There is, however, a liquid form which needs to be carefully measured. Measuring the dose is very important and one needs to use a special measuring spoon since household spoon may not get you the correct dose. The dosage of nortriptyline is based on certain individual’s condition and response to treatment. Doctors usually recommend one to four times daily. It starts with a low dose and gradually increases. The nortriptyline medication will take time and will not work right away. It is possible to see some benefits within a week but it may take up to four weeks to feel the full effect. The usual adult dosage for depression is 25 mg to 150 mg a day that is divided into doses. For an elderly person, it is recommended 10 mg to 75 mg a day in divided doses. For a person who is in between the age of 13 years to 18 years, 30mg to 50 mg a day divided into three or four doses. The maximum dose for this age group is 150 mg a day. To minimize the side effects of dizziness, it is recommended to get up slowly when rising from a sitting or lying position. For a dry mouth, one can eat sugarless candy or chew sugarless gum. To prevent constipation, it is important to maintain a diet rich in fiber and drink plenty of water, and exercise. Consult your doctor immediately if you experience any of these rare but serious side effects. It is also important for a person on nortriptyline medication to note that nortriptyline may increase serotonin which may, in turn, lead to a very serious condition called serotine syndrome or serotonin toxicity. Therefore, it is of utmost importance that you tell your doctor about all the other medications that you are taking. Some symptoms of serotonin syndrome include fast heartbeat, hallucinations, loss of coordination, severe dizziness, severe nausea or vomiting or diarrhea, twitching muscles, unexplained fever, and unusual agitation. It may also cause some allergic reaction such as rash, itching, swelling of the face, tongue or throat, severe dizziness, and trouble breathing. If such allergic reactions occur, consult your doctor immediately. A person taking nortriptyline medication should avoid some foods or drinks which may interact with the drug. You should avoid alcohol since nortriptyline can increase the effects of alcohol. Grapefruit and grapefruit juice may also interact with nortriptyline and lead to unwanted side effects. Therefore, it is also important to discuss with your doctor on what foods can be eaten or what cannot be while on nortriptyline medication. This medication may also affect your thinking ability or reactions. Therefore, do not drive or do anything that requires you to be alert such as working with machines. Nortriptyline can also make you sunburn more easily, therefore, a protective clothing and sunscreen may be necessary when you are outdoors. I have been taking 75mg of Nortriptyline for approx 4 years now and it changed my life. I take it at night and now sleep well at night, my pain levels have decreased. My GP has been fantastic, he has also recently introduced Gabapentin. Although I still suffer brain fog and some pain symptoms, I have been able to continue working. I know others are not so fortunate. I too take Nortriptyline and as Hayley at night time. Once I’ve taken it I know I can’t drive as I get confused easily and the brain fog rolls in. My sleep pattern is still erratic with vivid dreams punctuating the fractured sleep I do get. Full time work is impossible although I’ve now found an employer that can cope with providing extra support at short notice (an early morning text message) and is pleased to be able to use my experience as well as ticking the disability inclusion box for their staff! On the odd occasion that I’ve run out of tablets, thanks to the chemist and a bank holiday, I have a marked improvement with the Nortriptyline. If not taken the next day is an unbearable pain filled unending blur. Once taken again it takes a few days to build up and return to my new normal. I’ve always been suspicious of taking medication long term and in particular antidepressants but thanks to my Doctor for the firm persistence I can function as a mother, wife, home maker and sometimes employee. Ruth, thanks for your comment. I have been in dire straights and at wits end. My full time job is now part time and I struggle even with that. I struggle with getting through each day. I struggle to keep up with home life, family time, and just having a life. I hardly recognize myself, I’m barely even a shell of who I was just a few years ago. The fatigue, loss of energy, brain fog and pain have overwhelmed me. I’ve tried now 5 different types of medications with no relief and but the added misery of bad side effects. I’m not a fan of taking long term medications (especially if they really aren’t helping) , nor do I want to live the rest of my life taking pain killers and muscle relaxers. My doctor, a rheumatologist has suggested I try nortriptyline with gabapentin. Your comment gives me hope that this might be what finally helps me get some of my life back. I so want to function again.